I think I packed as much as possible into September. I need it to be a new month just so I can stop being busy all the time. Oh, wait, that will be December. On September 1st I flew to Portland, OR to visit one of my best friends in the whole world. (And run a half marathon). And Badger football started. 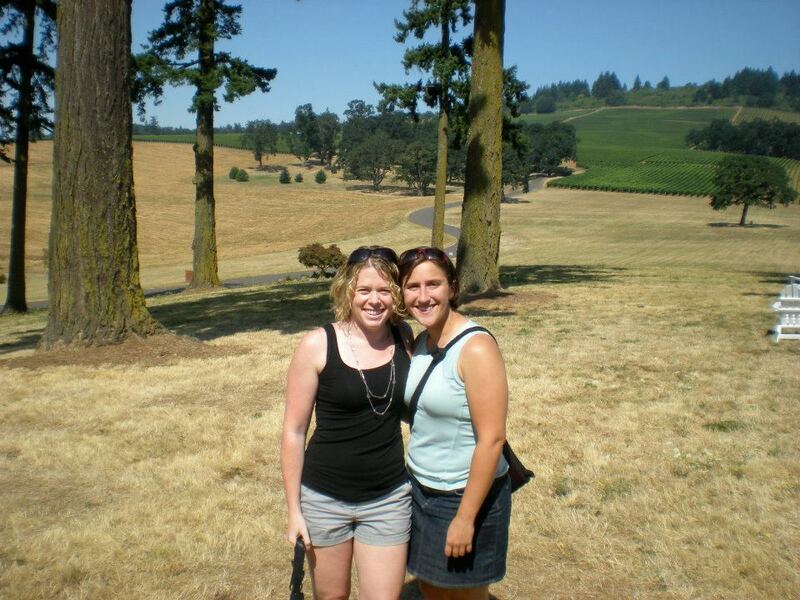 And we did lots of wine tasting. And this was all in the first weekend of the month. The second weekend in September I took my dad to the Wisconsin-Oregon State game thinking it was going to be a “good” non conference game. Not so much. It was a shutout. But my dad and I had fun. He hadn’t been to a game since Barry was coach. And it was Ironman WI. I stayed Saturday night so I could cheer on Sunday. After the swim I went out and did a run down memory lane in Madison. So pretty to run along the lake shore. The third weekend in September was also all about Badger Football, but this time in Chicago. The Badgers were playing Northern Illinois at Soldier Field. One of my college roommates lives in Chicago and Maureen went to NIU so it was a no brainer. So much fun, probably too much fun. Basically no running happened this weekend. I was pissed about it at the time. And whined and bitched about it, but thankfully moved on. I followed the ridiculously fun weekend up with a crazy running week. You can see all that here. 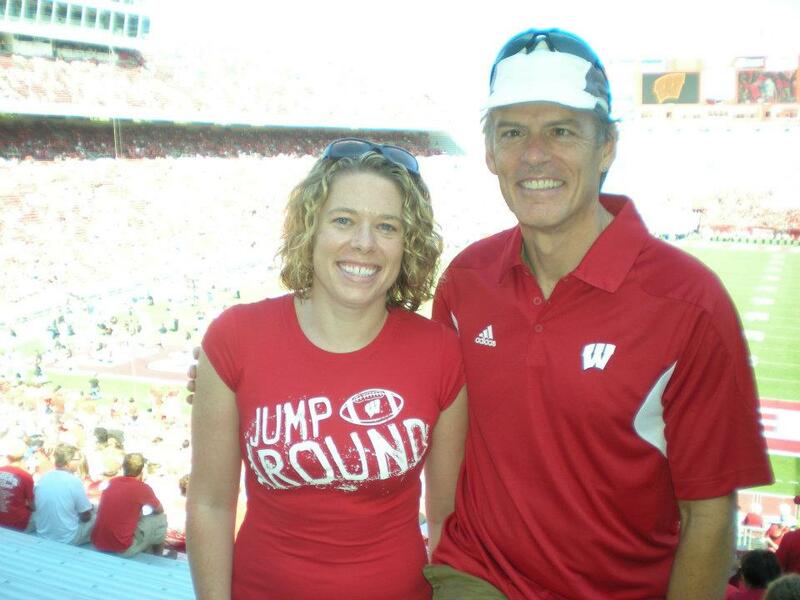 And then, big shocker here, I went to another Badger game. This time I took Krista. 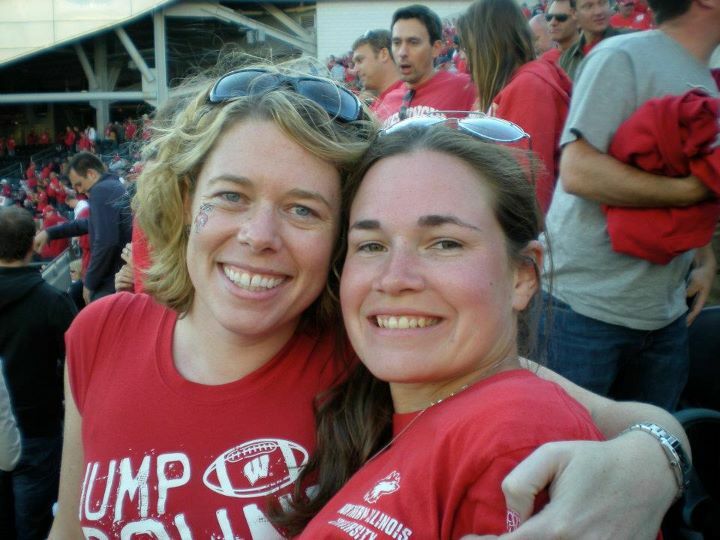 We froze our asses off while once again the Badgers clobbered another opponent. Somehow we are at the end of September and I am so happy with how my training went this month. I didn’t run every mile on my plan, but close to it. Halloween Weekend – I plan on doing nothing. I want to lay around my apartment and do nothing. Next postWhat is it about the marathon?